“The combination of Dell and EMC creates an enterprise solutions powerhouse..."
Dell has confirmed plans to acquire EMC and its myriad of businesses, bringing together two titans of the technology industry in a record-breaking $US67 billion deal. With rumours of a possible merger heightening last week, Dell CEO Michael Dell - who will become chairman and CEO of the new company - has moved quickly to combine two industry powerhouses, creating the world’s largest privately-controlled, integrated technology company in the process. Expected to close on February 3, 2017, the deal brings together the industry leaders in digital transformation, software-defined datacentre, hybrid Cloud, converged infrastructure, mobile and security. According to Michael Dell - in unison with MSD Partners and investment firm Silver Lake, Dell will acquire EMC Corporation, while maintaining VMware as a publicly-traded company. “The combination of Dell and EMC creates an enterprise solutions powerhouse bringing our customers industry leading innovation across their entire technology environment,” says Michael Dell. “Our new company will be exceptionally well-positioned for growth in the most strategic areas of next generation IT including digital transformation, software-defined datacentre, converged infrastructure, hybrid cloud, mobile and security. “Our investments in R&D and innovation along with our privately-controlled structure will give us unmatched scale, strength and flexibility, deepening our relationships with customers of all sizes. Michael Dell believes the combination of Dell and EMC will ensure market leadership in the “extremely attractive high-growth areas” of the US$2 trillion information technology market with complementary product portfolios, sales teams and R&D investment strategies. The transaction combines two of the world’s biggest technology franchises with leadership positions in servers, storage, virtualisation and PCs and it brings together strong capabilities in the fastest growing areas of the industry, including digital transformation, software-defined data centre, hybrid cloud, converged infrastructure, mobile and security. Since becoming a private company, Michael Dell says Dell has had the “flexibility and agility” to focus completely on customers and invest for long-term results. “The transaction will unite Dell’s strength with small business and mid-market customers with EMC’s strength with large enterprises to fuel profitable growth and generate significant cash flows,” he adds. Going forward, both parties believe the combined company will consist of strategically-aligned businesses and incubated high-growth assets, fostering innovation, enabling customer choice and attracting and retaining world-class talent. 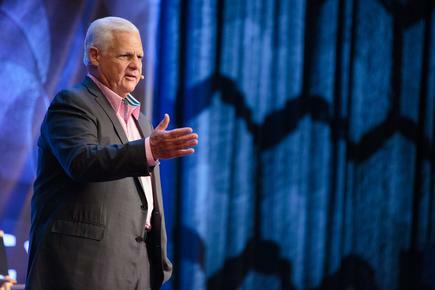 “I’m tremendously proud of everything we’ve built at EMC - from humble beginnings as a Boston-based startup to a global, world-class technology company with an unyielding dedication to our customers,” adds Joe Tucci, chairman and chief executive officer, EMC. “But the waves of change we now see in our industry are unprecedented and, to navigate this change, we must create a new company for a new era. Tucci says VMware will remain a publicly-traded company and continue to provide customers value through leading software-defined datacentre technology, together with its cloud, mobile and desktop offerings.